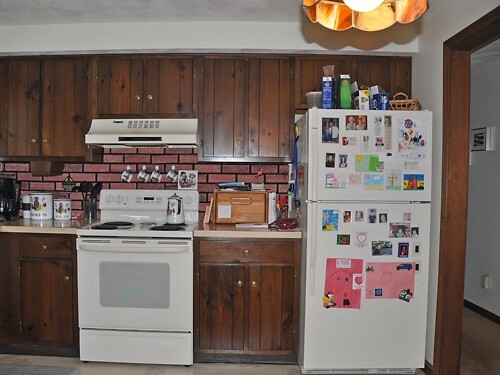 BEFORE: This small kitchen has served its family well for many years. But it’s ready for an update. The dark cabinetry makes the room feel small, and the cabinetry style with the scalloped valance makes it look dated. 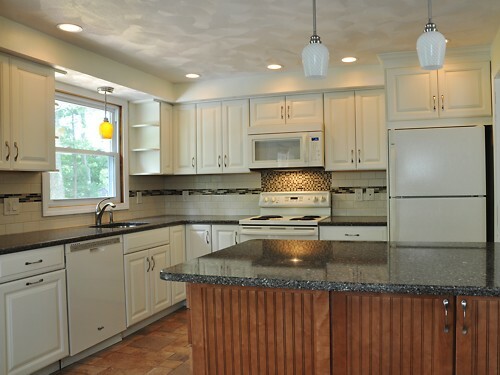 The lack of open counter space in this kitchen is quite obvious and more storage is needed. Using basically the same cabinetry footprint, the new light colored cabinetry makes the room feel larger and the traditional style makes it timeless. 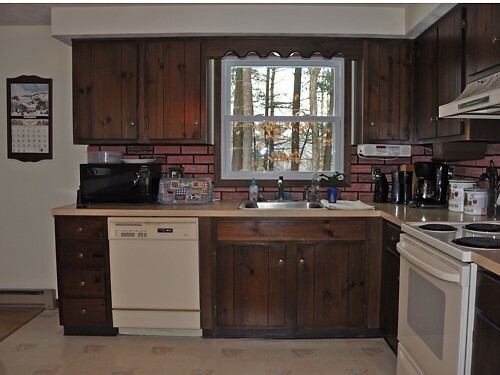 The same window is over the sink, but it appears larger with the valance removed and decorative shelves added on each side. Both task and pendant lighting also brighten the space. The new island provides both storage and a much needed work space in this small kitchen. There was a half wall removed between the kitchen and dining room and the new peninsula replaces what was once a small kitchen table. 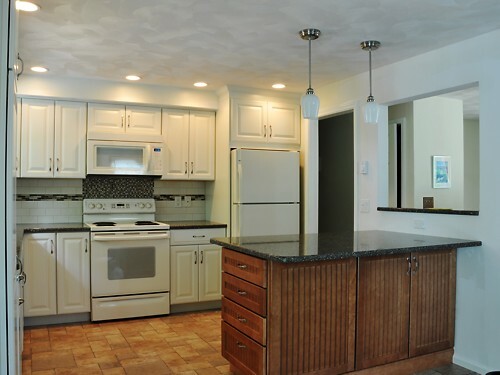 The toffee cabinetry in the new island complements the coconut-colored cabinetry on the perimeter and brings warmth to the space.